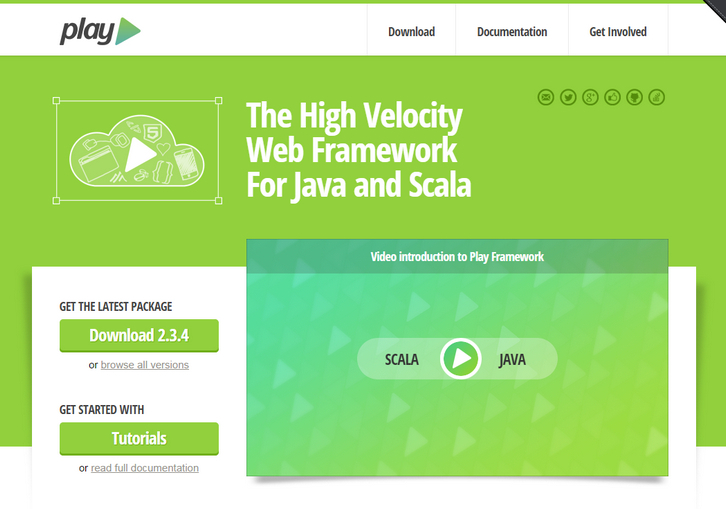 The Play Framework combines productivity and performance making it easy to build scalable web applications with Java and Scala. It’s built on Akka, Play provides predictable and minimal resource consumption (CPU, memory, threads) for highly-scalable applications. Play is developer friendly with a “just hit refresh” workflow and built-in testing support. With Play, applications scale predictably due to a stateless and non-blocking architecture. By being RESTful by default, including assets compilers, JSON & WebSocket support, Play is a perfect fit for modern web & mobile applications.